I am part of the “Millenial Generation” (and really, this Generation Y stuff has GOT to stop.) The reason I clarify this, is because this post doesn’t follow the traditional format of TWAI posts (ie 4 links and a picture.) I am writing this as an adolecent on the front lines of the culture to come, and to be frank, I am scared. We are taught from a very young age the all importance of Tolerance. Above all over morals and virtues (how old fashioned! ), this is the champion we are to revere. Anything and everything must be accepted in it’s name. Now I am in no way implying that we should exclude or deny human rights to anyone, or any group. But the fact of the matter is that by saying all behaviour is acceptable, we are taking away the rights of those who disagree, forcing them into silence. I was prompted to write this post by something I observed in my high school. There is a boy there, Lxxxxx, who is a transsexual. I have known him since ninth grade, and I can attest that his behaviour has only gotten more extreme, to the point where it is dangerously toeing the line of acceptabillity. In our student handbook, it lists the dress code, and forbids hair styles and manners of dress that would distract from the learning enviroment of the other students. Lxxxx wears his long, bleached hair in a bun on top of his head, make up, high heeled stilletto boots, and shirts which, if worn by the gender they were intended for, would expose the top half of a woman’s breasts. No girl would dare dress this provocatively- she would be held in the office until her parents could bring her a change of clothing, or be sent home, and would likely face detention. But because of Lxxx’s “orientation”, no one dares to speak up. Not the students, not the teachers, not the administrators, all because of the fear of the “discrimination” suits that would follow. This gross double standard shouldn’t be permitted in a truly “equal” society. If Lxxxx wishes to dress as the gender he feels he should be, he ought to be held to the same decency standards as the rest of us. Where do people get off creating viruses with the sole purpose of making people’s computers broken and mopey? Do they get paid? How do they make a living? Are they all a bunch of unemployed losers in their mom’s basements? The reason this has been on my mind, lately, is that something is wrong with my laptop, whom I call Sasha because that was the first name I thought of when I got her. 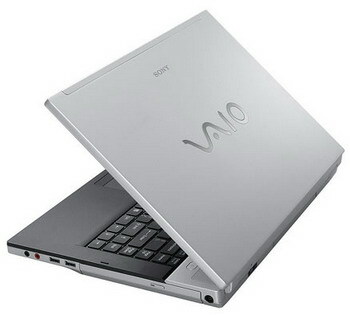 She is a Sony VAIO and is very very large and clunky, but I love her anyways. We’ve been through alot. Right around this time of year last year (in the second week of November, actually) she got a horrible virus thing that just punched her in the face. I don’t know where it came from last time, and I don’t know what happened this time. They aren’t the same virus, that’s all I know. I hate this. My computer is my own personal little world which I am in control of. It is an extension of myself, and it is an extendor to the world. I can reach out through the internet and find anything in the world. To reach back through those connections with the intent to do harm is a gross violation of the trust between all computer users. I think that my computer was spoof attacked. Shortly before she got all messed up, the firewall message box asked if I wanted to allow explorer.exe to access the internet. I was trying to use the internet at the time, so I consented. Then pop ups began spontaneously appearing when I was connected to the internet. It was all down hill from there. I hope that the geeks at Fry’s can fix my Sasha up without having to wipe her memory. I have alot of things saved on her, and I’d hate to have to play email tag like I did the last time.